Canon IXUS185, Coronado P. S. T.
Today's Sun in H-alpha and White Light. 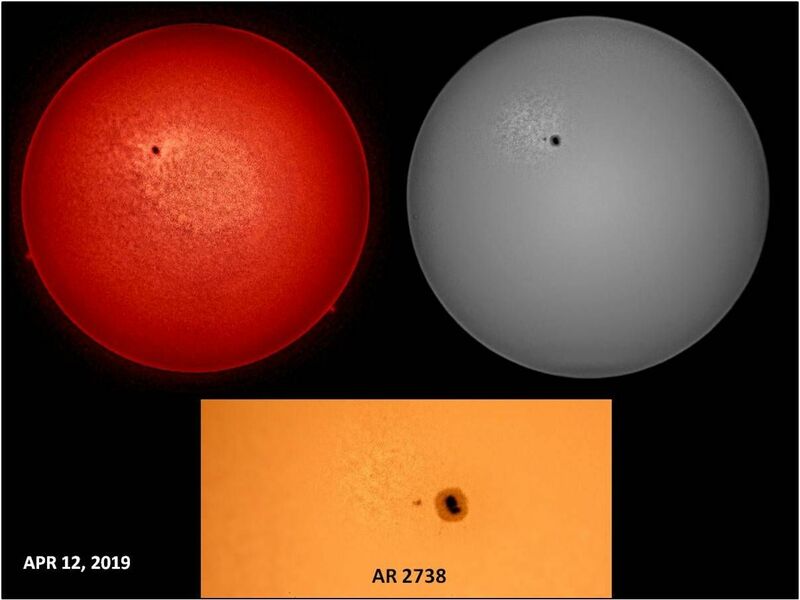 AR 2738 is large enough to see with the naked eye thru Solar glasses (if you still have yours from the Great American Eclipse!). The 100x image shows the classic penumbra surrounding the sunspot.